NYC, 02/06/2019, 6:30PM. 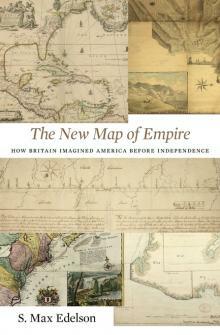 The New Map of Empire: How Britain Imagined America Before Independence. After the Treaty of Paris ended the Seven Years’ War in 1763, British America stretched from Hudson Bay to the Florida Keys, from the Atlantic coast to the Mississippi River, and across new islands in the West Indies. To better rule these vast dominions, Britain set out to map its new territories with unprecedented rigor and precision. Scott Max Edelson’s book pictures the contested geography of the British Atlantic world and offers new explanations of the causes and consequences of Britain’s imperial ambitions in the generation before the American Revolution.